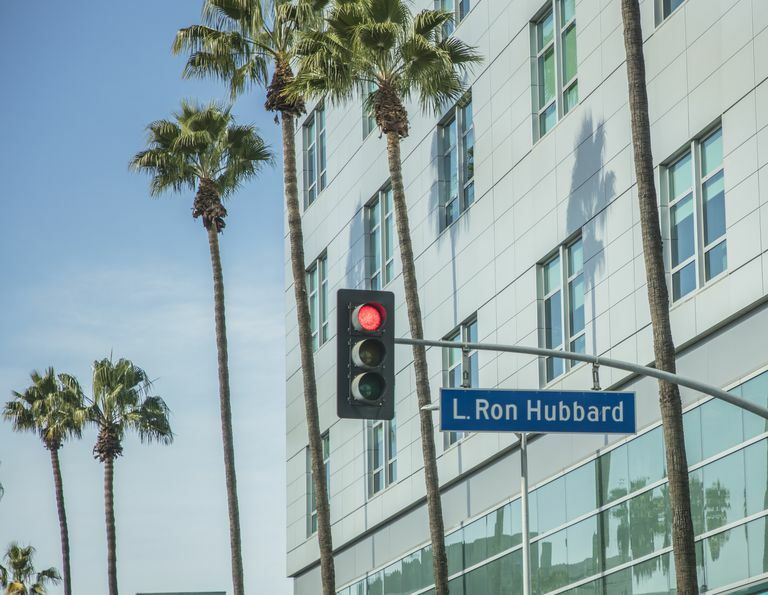 The L Ron Hubbard road sign outside of the Scientology building in Hollywood, California. Are Christian Science and Scientology the same thing? And which one has Tom Cruise as a member? The similarities in the name can cause a lot of confusion, and some presume both of these religions are branches of Christianity. Perhaps the thought is "Scientology" is a sort of nickname? There are other reasons for the confusion as well. Both religions put forth that their beliefs "when systematically applied to any situation, bring about expected results." And both religions also have a history of shunning certain medical practices, holding their own faith to be more effective or legitimate in terms of treatment. But the two are, in fact, entirely different religions with very little in common or directly connecting them. Christian Science was founded by a Mary Baker Eddy in 1879 as a Christian denomination. Scientology was founded by L. Ron Hubbard in 1953 as an independent religion. The most significant difference lies in the teachings about God. Christian Science is a branch of Christianity. It acknowledges and focuses on God and Jesus, and it recognizes the Bible as its holy text. Scientology is a religious response to peoples' cry for therapeutic help, and its reasoning and purpose lie in the fulfillment of the human potential. The concept of God, or a Supreme Being, does exist, but it's of little importance in the Scientology system. Christian Science sees God as the sole creator, whereas in Scientology the "thetan," the person fully free from an imprisoned life, is a creator. The Church of Scientology states that you do not have to give up your Christianity or faith in any other religion. Christian Science followers have a Sunday service for parishioners like that of traditional Christians. A church of Scientology is open all week from morning until night for "auditing" — the study of a training course. The auditor is someone trained in Scientology methods (known as "technology") who listens to people learning with the goal of achieving their full potential. In Christian Science, sin is believed to be a delusional state of human thought. You need to be cognizant of evil and repent strongly enough to bring on reformation. Freedom from sin is only possibly through Christ; the Word of God is what leads us away from temptation and sinful beliefs. Scientology believes that while "man is basically good," about two and a half percent of the population "possess characteristics and mental attitudes" that are violent or that stand in opposition of the good of others. Scientology has its own justice system to deal with crimes and offenses which is carried out by Scientologists. Scientology's methods are what free you from pain and early trauma (called engrams) in order to be able to achieve the state of "clear." In Christian Science, salvation encompasses your ability to awaken to the grace of God. Sin, death, and disease are removed through a spiritual understanding of God. Christ, or the Word of God, provides the wisdom and strength. In Scientology, the first goal is to achieve a "clear" state, which means "releasing all the physical pain and painful emotion." The second benchmark is to become an "Operating Thetan." An O.T. exists completely independently of his body and of the universe, restored to his original, natural state of being as the source of creation.